If you're a new customer, Dynamics 365 for Customer Engagement apps version 9.0 is available for trial or purchase. If you're an existing customer, learn how to manage updates. Learn about what's new in Dynamics 365 for Customer Engagement apps version 9.0 for developers. UX enhancements to improve readability and usability of the web apps, and to make data entry faster and easier. Extensibility and app platform enhancements, including improvements to security and data management. Additionally, there are enhancements to the in-app Designer tools that allow admins and customizers to tailor apps through a graphical user interface instead of writing code (App Designer, Site Map Designer, and Business Process Flow Designer). A new Unified Interface framework used for the Customer Service Hub, Dynamics 365 for phones and Dynamics 365 for tablets, and Dynamics 365 App for Outlook. Unified Interface is also available in the App Designer so that customizers can build app modules using this new look and feel. With this release, the user interface of the web apps has been refreshed to improve usability and visual appeal. These changes are consistent across these web apps: Sales, Customer Service, Field Service, and Project Service Automation. The changes apply to all the main application areas such as forms, dashboards, grids, dialogs, and the search screen. Now users will see forms with customer data grouped in easy-to-read containers that streamline data entry. There’s new field styling to make empty fields easier to see, and the text wraps within fields to improve readability. Removal of unneeded whitespace on forms and dashboards. Containers for content now have defined borders. There is consistent spacing between sections. Empty containers have a helpful message and icon. Improved visual hierarchy by means of a new clipboard structure for the content shown on all pages, such as forms, dashboards, and grids. The page and panel header colors used for the clipboard are customizable. Use of standardized fonts for a more consistent look and feel. More intuitive user experience for elements such as tabs, buttons, and input fields on forms to help users be more productive. On forms, long text labels and values are wrapped. Admins can control word wrap through system level settings. The color of a sub-grid header can be customized at the form level. Go to Settings > Customizations > Customize the System and select the form for an entity you want to change. Open a record, double-click on a subgrid, and enter the color choice in the header field. Use only the hex color schemes. For example, the code #fofofo represents grey. Go to Settings > Customizations > Themes and clone the theme you want to customize. Selecting a header color in a theme will auto-populate the rest of the theme colors with system-suggested defaults that can be edited. Advanced find now has the option to build a NOT IN query. For example, users can query for all cases that do not have a related task. To do this, users launch advanced find from the icon on the navigation bar. In the query, they choose what type of record to look for, and then select a related record type to see the Does not contain data operator. Keyboard users can save time and effort by using the tab key and keyboard shortcuts. The Unified Interface also uses responsive web design principles to provide an optimal viewing and interaction experience for any screen size, device, or orientation. For example, subgrids morph into lists for smaller screen sizes. Dynamics 365 for Marketing is a marketing-automation application that helps turn prospects into business relationships. 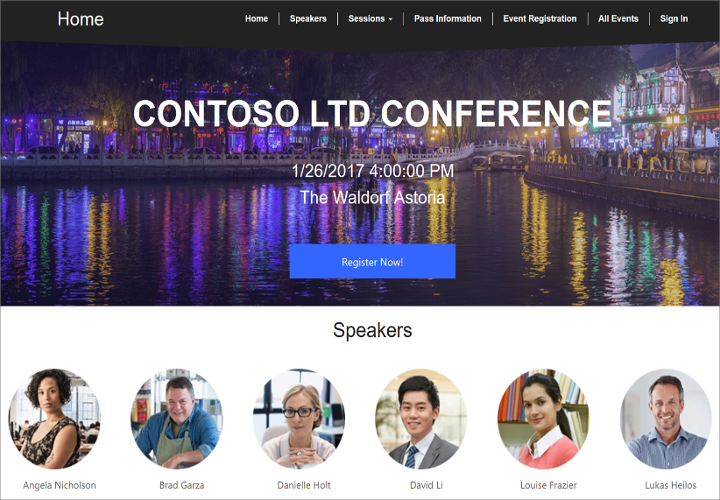 The app is easy to use, works seamlessly with Dynamics 365 for Sales, and has built-in business intelligence. Customizable templates for emails and landing pages help amplify your digital voice. Intuitive drag-and-drop design tools simplify content creation—from personalizing the message to setting up lead scoring. Use the drag-and-drop journey designer to create an automated, multichannel campaign that sends personalized email messages, generates follow-up activities, launches workflows, and more. Each contact in the target group travels down a customized path that reacts to their interactions and identifies your best prospects. Easily track campaigns and analyze results to build profitable long-term relationships. Keep all the information about your event venues, logistics, ticketing, sessions, speakers, sponsors, and more in one place so your whole team can coordinate while working on them. Then generate an online event portal where attendees can review event information and register online. Integrate your events into your marketing email messages and customer journeys to help get the word out. Set up automated lead-scoring rules that automatically identify your hottest leads based on how they interact with your events and customer journeys. As soon as a lead meets an agreed-on sales-ready score, the system automatically routes it to a salesperson to follow up while the lead's still hot. Easy-to-create surveys make it simple to gather actionable feedback from customers. Understand individual customer needs and expectations so you can grow relationships and revenue. Securely share information about leads and contacts across your business and understand how every interaction affects your results. Connect sales and marketing processes to automate follow-ups and track the progress of every lead. Use dashboards and reports to track the performance of your marketing initiatives, and to identify your best lead sources and marketing activities. Bring together sales and marketing results to track and increase their impact on your business. Quickly target and connect with the right LinkedIn audiences by importing leads generated with LinkedIn's lead tools directly into Dynamics 365. Customize the application to fit your specific business needs. Make basic customizations by using tools built right into the app. Expand its capabilities and add new features by installing third-party packages from our thriving marketplace—Microsoft AppSource. And it's easy to connect with Dynamics 365 partners to get expert help. The Marketing app is built on the same platform and database as the sales app, so both teams share the same records, and customizers can leverage their existing knowledge when adding custom features. 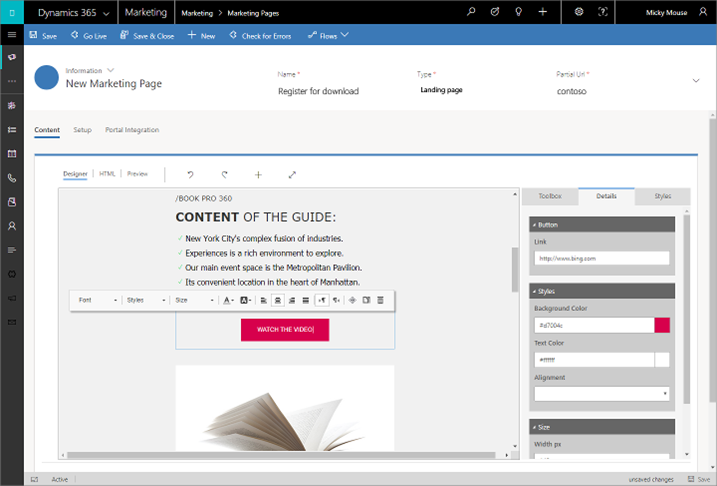 A new solution, initially available for version 8.2 of Dynamics 365 (online), allows users to run LinkedIn lead generation ad campaigns, and then sync resulting leads with Dynamics 365 for Sales. It will be updated for version 9.0 soon after the initial release. 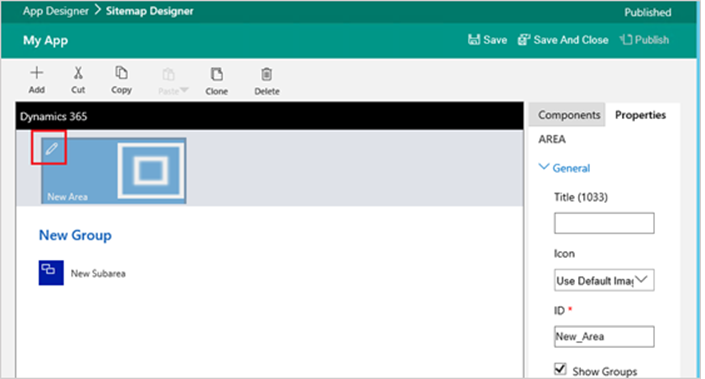 The new solution will be available on AppSource and is called Microsoft Dynamics 365 (online) Connector for LinkedIn Lead Gen Forms. Support for multiple LinkedIn member accounts. 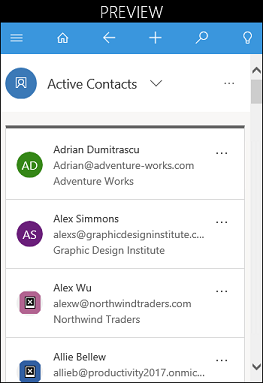 Set up your Dynamics 365 (online) organization to access and bring in leads from campaigns run by multiple employees using different LinkedIn member profiles. Customizable lead-matching strategies. 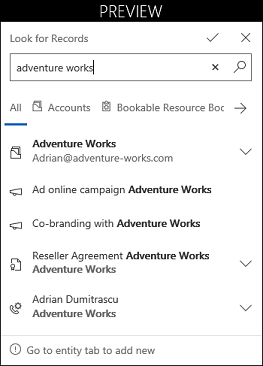 Customize lead-matching strategies to define which fields the system uses to find matches with Dynamics 365 (online) leads. For example, you can match on someone’s email address, last name, company name, or other field. When there’s a match, the data from the person’s LinkedIn profile is included in corresponding fields on the lead form. Ability to analyze lead performance across sources. Track and analyze the performance of leads captured on LinkedIn and compare them against other sources. To use the LinkedIn Connector with Dynamics 365 (online), you’ll need access to the LinkedIn Campaign Manager as part of your LinkedIn subscription. You’ll also need to use LinkedIn’s Lead Gen Forms to run native ads. With this release, the Customer Service Hub (called Interactive Service Hub in earlier releases) has been rebuilt on the new Unified Interface as a stand-alone application. The Customer Service Hub shows you all your vital customer service information in one place, and makes it easier for reps and managers to prioritize and act on service cases. If you're a developer, see also What's new for developers. You can access all the system and user dashboards from within your Unified Interface apps. The interactive dashboards are now available for all record types with richer interactive dashboard capabilities. Use the reference panel for apps built on Unified Interface like Dynamics 365 for Customer Service. The reference panel is a great way to get work done without clicking away from the screen you are on. You can look up other things like knowledge base articles within the context of the record you are viewing. The stages in a business process flow can now be displayed in floating mode, along with docked mode. Stages can now be aligned in a vertical layout, instead of horizontal, which makes it easier to see which steps are required to be completed before moving forward. You can also choose to include an optional step in the business process flow and define criteria to trigger it. 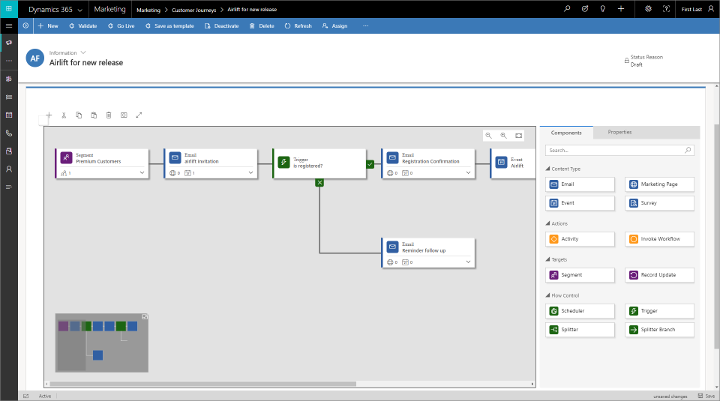 Business Process flow is now an entity and you can create custom views. Business Process entities can now be made available on the site map. An improved timeline lets service reps view all customer interactions for a case in a single stream. Reps can create, update, and manage notes, posts, and other interactions directly on the timeline. The Activity feed on the timeline gives the service team visibility into what’s going on so they can resolve cases and collaborate more effectively. The timeline includes textual and visual filters that let reps view and sort activity types to help them focus on the just the details they need. Reps can keep track of what they may have missed from the previous day or week in the What’s new section, which shows new notes, unread emails, and new activities created while they were away. New Quick Create forms have been introduced for Task, Phone Call, and Appointment with customization capabilities. You can also benefit from the updated email editor control with its rich editing capability. With the latest release, Knowledge Management is based on the new Unified Interface, and is included as a part of Customer Service Hub. You can author, edit, search, publish, and translate the knowledge articles using Knowledge Management. Advanced options to create content in the rich-text editor. You can now preview the content to view its compatibility on multiple devices, like tablets or phones. Better support for editing the HTML source of the knowledge article. 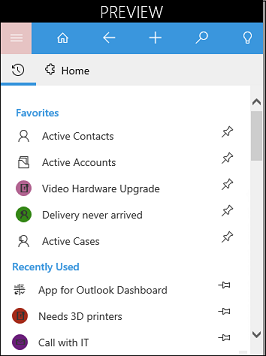 The updated version of Dynamics 365 App for Outlook is now available as a preview feature for Dynamics 365 for Customer Engagement apps version 9.0. 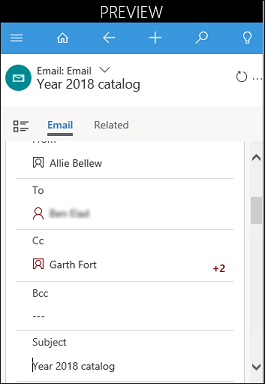 With Dynamics 365 App for Outlook, users can tap the power of Dynamics 365 (online) while using Microsoft Outlook—a tool they’re already familiar with. The new version of Dynamics 365 App for Outlook is built on the Unified Interface framework. The app keeps the functionality from the previous version, but adds additional capabilities that come with the Unified interface. See list items for any view or grid that's accessible through the app. Take advantage of the Dynamics 365 (online) sitemap to easily access favorite and recently used records in Dynamics 365 (online). Navigate to records within the app and edit them. 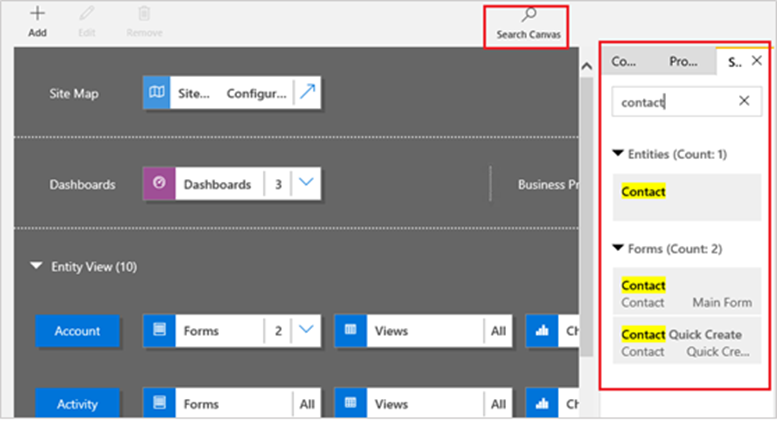 Use the global search UI to search, view, and access Dynamics 365 (online) records. The new mobile app is built on the new Unified Interface, which provides key accessibility and responsive design benefits. Current users will not need to download an update from the app store. They will receive the new functionality when the Dynamics 365 (online) server is updated to the latest version. The new navigation on mobile lets you quickly navigate to the different areas in the system – Sales, Service, Marketing, and more. It also provides quick access to recently-viewed records and pinned favorites. You can now take action on a record without opening the record. From a list of records, tap the More button (…), and then select an action such as Delete, Reassign, or Close. You can take the same action when you select multiple records. 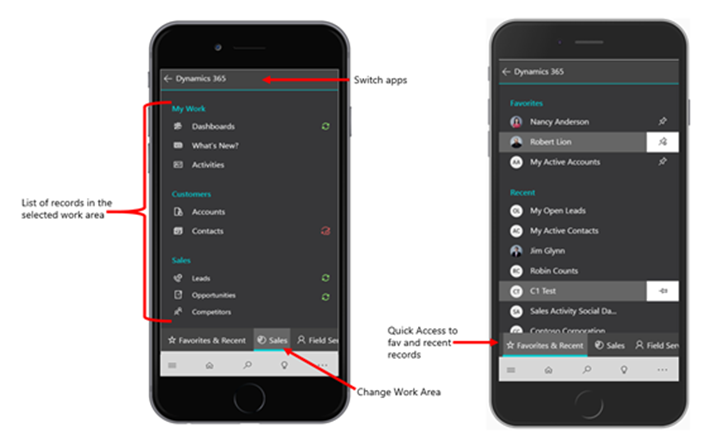 If you can add iFrames and web resources in forms and dashboards in a Dynamics 365 (online) web app, they will be enabled in Dynamics 365 for phones as well if you check the box to enable iFrames and web resources for phones. For example, if you add a news feed to a dashboard in a web app, the news feed will also appear in the phone app. New capabilities added to the in-app visual tools allow business users to easily tailor apps through a graphical user interface, without writing code. The App Designer has UX improvements to simplify the way admins and customizers create their own solutions. There are also updates to the My Apps landing page and the Sitemap Designer. Optionally, choose an existing solution and/or sitemap to quickly create your app. Choose the client type—web or Unified Interface (to take advantage of built-in accessibility and responsive design improvements). For more information on the new Unified Interface, see Unified Interface framework for new apps earlier in this guide. Support for interactive dashboards with apps created for clients based on the Unified Interface framework. 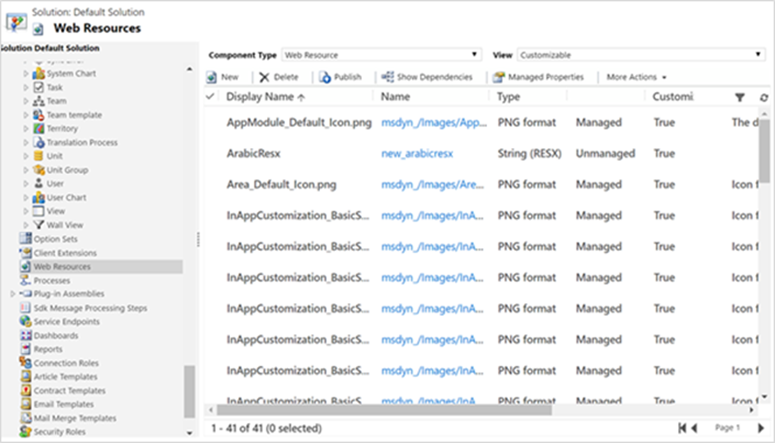 Find components easily from the App Designer canvas. Click Search Canvas, and then enter a keyword for the component you’re looking for in the search box. The search pane organizes the results. Click a result to highlight the search item throughout the App Designer canvas. If needed, enable your app to support mobile offline by selecting one or more mobile offline profiles. Add an optional custom welcome page from a web resource, which becomes the first page to load when the app is opened. Welcome pages can provide guidance and other key information to users upon app startup. Set an interactive dashboard as the default dashboard subarea in the sitemap for apps based on the Unified Interface framework. Cut, copy, and paste sitemap components. Support for miscellaneous security privileges within app subareas. Inline editing support for sitemap components. To edit inline, hover over the component to reveal the pencil. The My Apps landing page enhancements include an improved user interface that has app filtering and app search capabilities. Responsive design makes the My Apps page better suited for small screens. 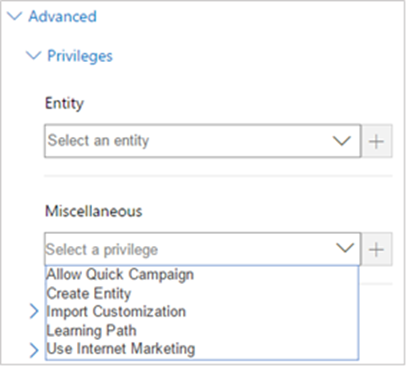 A virtual entity is a custom entity in Dynamics 365 (online) that retrieves data at runtime from an external data source. Virtual entities appear in Dynamics 365 (online) to users as regular Dynamics 365 (online) entity records, but contain data that is sourced from an external database, such as an Azure SQL Database. An OData v4 data provider is included so you can connect to data sources without the need to develop your own OData v4 data provider. Records based on virtual entities are available from all Dynamics 365 (online) clients, including custom applications developed using the Dynamics 365 SDK. End users work with the records created by the virtual entity to view the data in fields, grids, search results, and Fetch XML-based reports and dashboards. System customizers can configure the data source record and create virtual entities without writing any code. Developers can implement plugins to read external data using the Dynamics 365 SDK and Dynamics 365 (online) Plug-in Registration tool. Create a virtual entity like any custom entity, and then select the Virtual Entity check box. Selecting the check box displays additional information requirements for the data source, as well as the External Name and External Collection Name values for the entity definition. 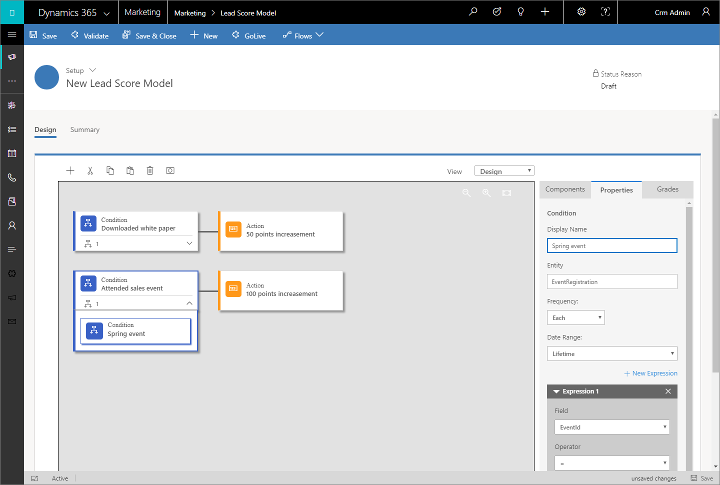 Microsoft Flow is a cloud-based service that makes it practical and simple for business users to build workflows that automate time-consuming business tasks and processes across applications and services. This release includes the ability to run Microsoft Flows from within Dynamics 365 (online), making it simple for users to combine a broad spectrum of services that can be initiated from within Dynamics 365 (online) without writing code. 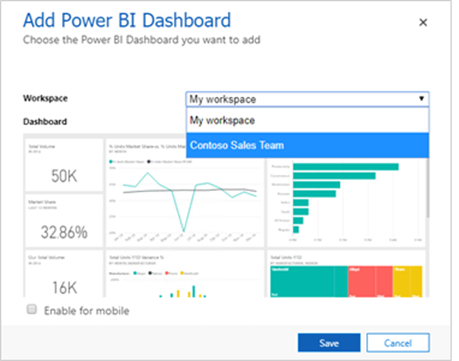 You can now embed Power BI dashboards and tiles in Dynamics 365 (online) selected from group-based Power BI App Workspaces. Previously, dashboards and tiles could only be embedded from My Workspace. Action steps allow the execution of server-side business logic by calling on-demand Process Actions. You can now include an optional step in a process and define criteria to trigger it. For example, you can create a Process Action that automates sending an email, creating a task, or manipulating data. This Process Action can be called by the user with a click of a button that shows as one of the steps in the stage they are working on. Business Process entities can now be displayed on the sitemap. This makes it easier for people to work with process first as opposed to data first, which is less natural. Business Process entities can be included in views, charts, and dashboards, which brings the process data to the forefront of the application. Because a business process flow is now an entity and you can create custom views, it’s possible to leverage the Interactive Experience Dashboards to show processes as streams and queues so that users can be more productive and know which process to act on next. Customizers can now add multi-select fields to forms, quick view and quick create forms, and read-only and editable grids. When you add a MultiSelect Option Set field, you can specify multiple values for the field that users can select, up to 150. For example, include multiple locations or countries in an Area of operation field. 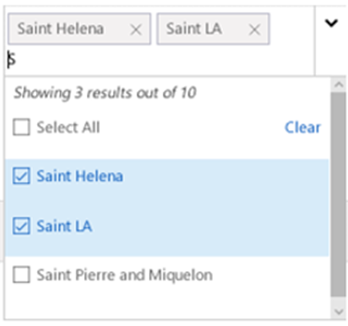 A user can select one, more than one, or all locations from the list of available values. This release of Dynamics 365 (online) includes improvements in how web resources are managed and localized. This release also includes support for a new resource type, RESX, which is an XML-based file format that supports comments associated with key+value translation pairs and is supported in Visual Studio. For more information about RESX, see Resources in .Resx file formats. Now you can customize a command, choose different colors, and change the color of the text to black or white.